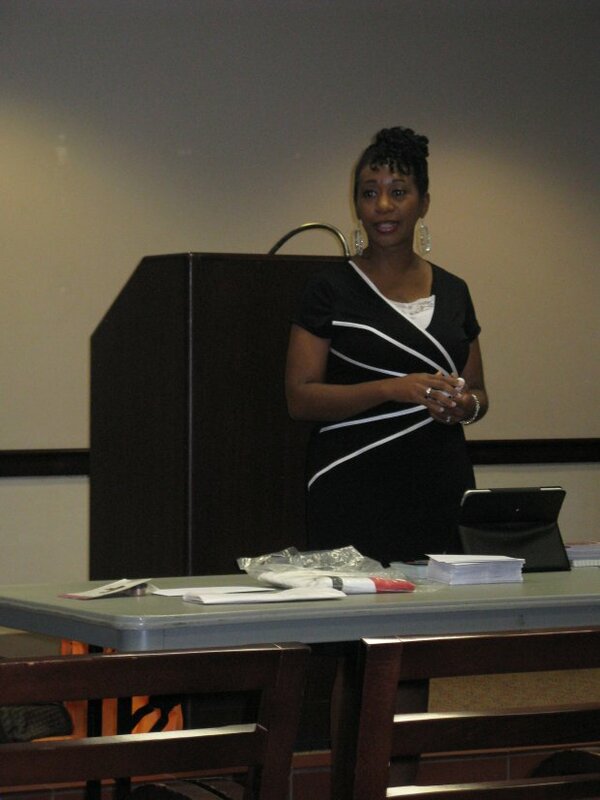 Keisa Sharpe shares inspiring words at the Birmingham Naturalistas meet up. The meet up began with Marliceia Chavers awarding a few door prizes to those in attendance. Second, Keisa Sharpe briefly took the floor to share encouraging words for individuals partaking in the natural hair journey. Sharpe proclaimed us all to be natural hair ambassadors and invited us to share messages of encouragement with others. In a very emotional piece, Sharpe spoke about encouragement in the natural hair community, and tackling issues dispelling negative stereotypes. Very appropriately named, Sharpe’s message “5 Reasons You Should Celebrate Being the Natural Hair Diva That You Are.” was inspiring to say the least. I’m sure it gave many of us in the room reassurance that we have chosen to take the right journey. For your reading pleasure, I have included Keisa Sharpe’s top 5 points. 5 Reasons You Should Celebrate Being The Natural Hair Diva That You Are. You just hit authentic you, you should celebrate. Wear it, flaunt it, and show it. The variety of styles is unmatched. The support you will find is absolutely incredible. People are working on your behalf to bring resources, programs, meet ups, explosions about natural hair. After Keisa Sharpe spoke co-manager, Marliceia Chavers, took the floor to make several announcements for upcoming events. Katrina Watson, Birmingham Natural Beauties, also made a few announcements about upcoming events. There were several trivia questions asked and prizes awarded. Special thanks to Keisa & Marliceia for organizing this meet up. Also thanks to all the sponsors of all the prizes, and to Ms. Chavers for the delicious punch. This was a great article. Hate I was not able to attend, but will be at other meet ups.